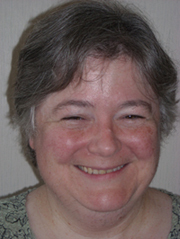 Home Faculty Courtesy Faculty Judith Ann Johnson, Ph.D.
Microbial Pathogenesis: Ongoing projects include studying the role of surface polysaccharides in pathogenesis and immunity of Vibrio spp. ; virulence of community-associated staphylococcus aureus in lung infections; and virulence factors in mycobacteria and acinetobacter. Molecular Epidemiology: Ongoing projects include studying the phylogeography of the cholera seventh pandemic; molecular typing of enterococci, V. cholerae, pneumococci, methicillin-resistant staphylococcus aureus (MRSA) and other organisms; and diarrhea infections in the developing world. Microbial Ecology: Ongoing projects include studying the environmental reservoirs of nontuberculous mycobacteria. Microbial Genetics: Ongoing projects include studying the evolution of vibrio spp., bacillus, in addition to staphylococcus aureus genomes and pathogenicity islands. Prior to joining the Department in 2007, Dr. Johnson was a member of the faculty at the Department of Pathology at the University of Maryland School of Medicine and the chief of clinical microbiology and molecular diagnostics for the Veterans Affairs Maryland Health Care System. She has authored more than 60 original articles and two book chapters on the polysaccharides of vibrio cholerae and on bacterial antibiotic resistance. Dr. Johnson earned her doctorate degree from the University of Maryland and performed her postdoctoral fellowship at the Center for Vaccine Development at the University of Maryland, Baltimore. Stine OC, Johnson JA, Norris AK, Perry K, Tigno J, Qaiumi S, Stine MS, Morris JG, Jr., Widespread distribution of tetracycline resistance genes in a confined animal feeding facility. International Journal of Antimicrobial Agents. 2007;29:348-352. Harris AD, Perencevich, EM, Johnson JK, Paterson DL, Morris JG, Jr.,Strauss, SM, Johnson, JA. Patient-to-patient transmission is important in extended spectrum beta-lactamase-producing Klebsiella pneumoniae acquisition. Clinical Infectious Diseases. 2007;45:1347-50. Chopra AK, Graf J, Horneman AJ, Johnson JA. Virulence factor-activity relationships (VFAR) with specific emphasis on Aeromonas species (spp.). J Water Health. 2009;7 Suppl 1:S29-54. Dai, J., Chen, Y., Dean, S., Morris, J.G. Salfinger, M., Johnson, J.A. Multiple Genome Comparison Reveals New Loci for Mycobacterium Species Identification. Journal of Clinical Microbiology. 2011;49:144-53. Gray, R.R., Tatem, A.J., Johnson, J.A., Alekseyenko, A, Pybus, O, Suchard, M., Salemi, M. Testing spatiotemporal hypothesis of bacterial evolution using Methicillin-Resistant Staphylococcus aureus ST239 genome-wide data within a Bayesian framework. Molecular Biology and Evolution 2011;28:1593–1603. Chandel, D.S., Johnson, J.A., Chaudhry, R., Sharma, N., Shinkre, N., Parida, S.N., Misra, P.R., Panigrahi, P. Extended-spectrum β-lactamase producing Gram-negative bacteria causing neonatal sepsis in India in rural and urban settings. Journal of Medical Microbiology. 2011;60:500-507. Ali A, Chen Y, Johnson JA, Redden E, Mayette Y, Rashid MH, Stine OC, Morris, JG. Cholera in Haiti: Further Evidence of Very Recent Clonal Origin. Emerging Infectious Diseases 2011;17:699-701.